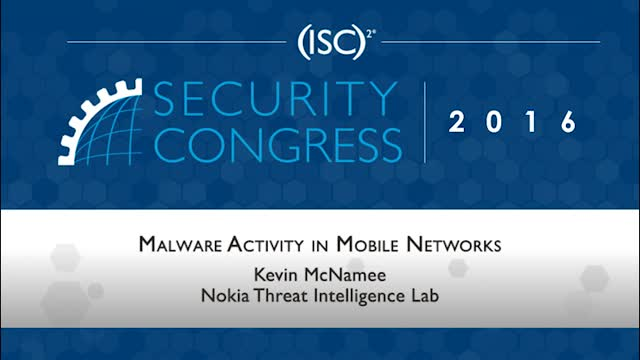 This presentation explores the malware that is currently active on the mobile network. It will leverage infection data from network-based malware detection systems deployed in mobile carriers covering more than 100 million mobile devices around the globe. It starts with a review of real-world malware statistics for mobile devices, including the infection rate, the type of malware involved and the types of devices that are infected. It then provides an in-depth analysis of specific malware infections, including details on what the malware does, its command and control infrastructure, how it is monetized, the impact on the network and user, and a demonstration of the malware involved.